Designed specifically for TSCM operatives the IPS SIG GEN creates RF signals that imitate the most common types of eavesdropping bugs and listening devices. This lightweight handheld unit is perfect for training TSCM operatives and those working with spectrum analysis systems (OSCOR BLUE/GREEN systems). Radio signals with user-defined frequency in 100 – 6GHz MHz range. Operator controlled variable output power. AM, FM, FHSS, DSSS and PULSE modulated signals. Signals imitating data transmission standards (GSM, DECT, BLUETOOTH и WLAN). HF and LF signals in the 220V main power lines and RJ-45 low current lines. AM, FM and PWM modulations. 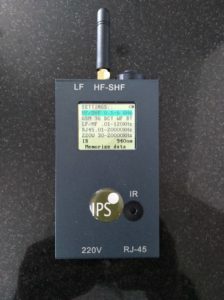 IR signal with LF signal modulation and a possibility to select a subcarrier frequency. Sound and ultrasound signals with user-defined frequencies or a selected octave and third-octave filter frequencies. (Direct connection of speakers to the IPS SIG GEN output socket is available). 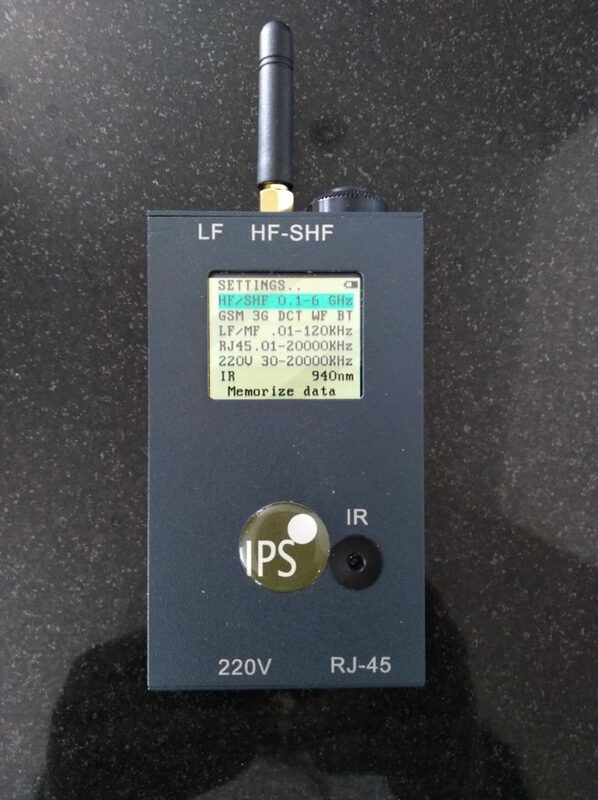 Complete RF signal generator in a wide frequency range: 0.01-20MHz and 100-6GHz. Self-powered from internal rechargeable batteries. Stand-alone operation. PC is not required. Device IPS SIG GEN can also imitate electromagnetic interference and noise from electronic devices such as solid-state audio recorders and cell phones (TEMPEST applications). As trusted suppliers and trainers of REI equipment we at IPS offer this device as a cost effective addition to our modules and TSCM kit.